After its introduction last year on Sprint, the Palm Pre (now own by HP) has launch its predecessor namely Pre 2. This is an improvement (on almost all aspects of previous pre) from hardware to even the operating system (more info below). Disclaimer: Pre Plus is really the upgrade version of Original Pre but I will be comparing Pre 2 with Pre to show you how much improvement the Pre got - aside from the fact that Pre plus didn't get that much hype. Basically Pre 2 is a faster version of original Pre. Similar to how iPhone 3GS as an upgrade to iPhone 3G. *The HP Touchstone Charging Dock is the incredibly simple way to charge your HP webOS smartphone.1 And it’s only from HP. 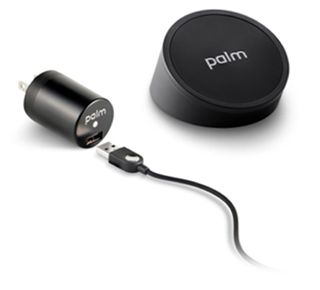 Set your phone on the dock and it begins charging on contact, automatically shifting to speakerphone mode. Pick your phone up from the dock while on speakerphone and the audio switches back to the earpiece. 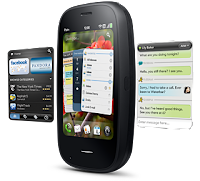 After the $1.2B purchase of Palm, HP promises that it will maintain webOS and leverage the platform into multiple products. So Aside from the hardware changes (mentioned above), HP also added several improvements on the already advanced operating system. Stacks – This is webOS 2.0’s take on multitasking. HP calls this “true multitasking” (in other words, preemptive), which is what webOS 1.0 had before. It’s a way to organize and keep related items together. So if you are trying to open up a webpage or create a new calendar event based on information from an e-mail, you can group all of those items together in one stack. Just Type – Just Type is a new mechanism that lets you start typing before opening an app. You can then choose a Quick Action like sending an e-mail or a text message or doing a web search. Basically it’s Quicksilver on your phone. Adobe Flash Player 10.1 Beta – Like Android and the BlackBerry PlayBook, webOS supports a beta of Flash Player 10.1. Adobe has long demoed Flash 10.1 on webOS devices, but now it’s baked into the web browser. Skype Mobile – Verizon customers will get access to Skype-to-Skype calls and messaging and low-cost long-distance calls. This is an extension of the Verizon/Skype partnership. QuickOffice Connect – The office viewer that we love on iOS and Android is now on webOS. Facebook 2.0 – This will be available in the App Catalog and offer support for Facebook IM via the built-in Messaging application and support Stacks and Just Type Quick Actions. Updated Browser – The WebKit-based browser has been updated to include more HTML5 and geolocation support. VPN – WebOS will now connect to corporate networks, including IPsec and Cisco AnyConnect mobile-optimized VPNs. Bluetooth keyboard support — Like iOS 4, webOS 2.0 supports Bluetooth keyboards and other Bluetooth peripherals. Here are some other features that's worth noting of. Being bought by HP, Pre line of devices including webOS is now becoming a serious contender (actually for me its already a difficult competitor if not only for a more simpler marketing campaigns done by Palm and competitive tech specs on original Pre), with HP having lots of resources to pour into development and even marketing. But is it late for HP given that Windows Phone 7 handsets are due this 4th quarter of 2010, Froyo updates are rolling out on several Andriod devices and N8 and other S^3 devices becoming available for retail? 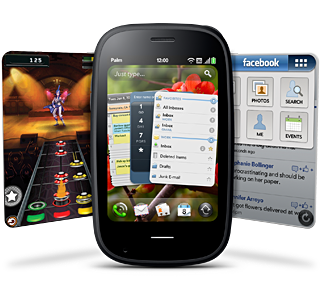 Don't forget also about MeeGo with devices targetted for release mid next year. HP should think about gimmicks that will make consumer wait for Pre 2 or even think twice first before buying already available smart phones.